In the Present day of society, we see that the professionals of classical ayurveda are meagre in number. 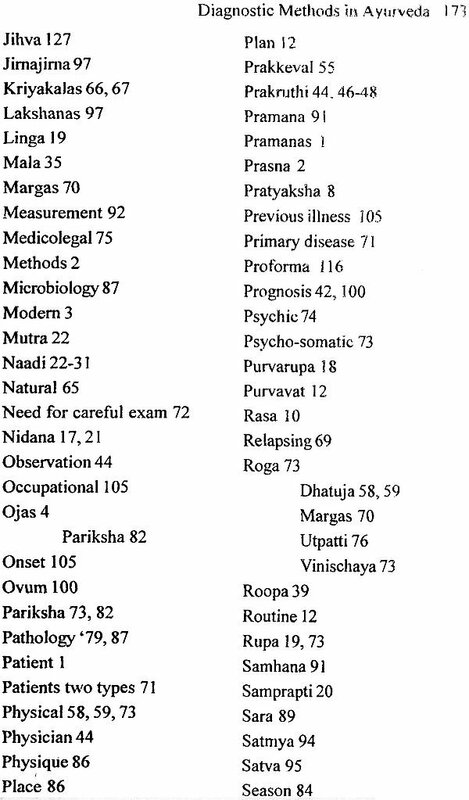 The cause for the same may be many, but lack of an authentic hand book incorporating diagnostic Mehtods in practicing ayurveda is one. To fill this gap an effort is made to build a confidence for the upcoming Ayurvedic doctors and additional inputs involving some modern aspects. I hope that with the help of this practical text many can diagnose of diseases with ease and provide efficient patient care by fulfilling a principle of positive health to the patients and rappo and wealth to the physicians. While preparing this book many details have been collected from various authentic Ayurvedic books and presented for practical use. The experiences and observation of the author are also included in this work. Regarding the topics made in the book that for the points where the classicle references are there, they have been mentioned appopriate in the book. Some of the references are taken from the references books mentioned in bibliography or they are based on the experiences in modern practice. Apart from classical references some of the topics have been included based on the popular books in the field of roganidana and vikruti vijnana including ayurvedic diagnostic methods and my practical experiences and research since last 15 years. This is my second book, there may be errors and ommissions here and there which if you notice or observe the same may be brought to the notice of the undersigned to make the necessary corrections in the forth coming editions. The work of Dr. Gopal is really appreciable. He has taken great painto compile and collect the various topics on diagnosis of disease as well as diagnosis of patient as in the form of diagnostic methods in ayurveda including roganidana and vikruti vijnana. His work is the need of the hour, particularly for the students of both UG and PG in the field of roganidana. This specific work will enrich the knowledge of ayurveda in general and to the knowledge of practice of ayurveda in perticular. I am very hopeful that this literal contribution to the traditional methods of diagnosis and treatments with roganidana and vikruti vijnana would serve as a means to serve the suffering the humanity in a more dimpler and athentic way. I wish Dr. Gopal to get more oppurtunities to write books and I hope that this publication will come out with many additions. If any work is undertaken without proper examination it doesn't lead to success. Likewise 'chikitsa' leads to success only when the proper examination of disease and diseased is done and the clinical diagnosis is done considering all the points of examination and then only the treatment is administered. It means only after proper examination physician is allowed to do administer treatment. The main aim of 'chikitsa' is 'Pratipatti Jnana'. 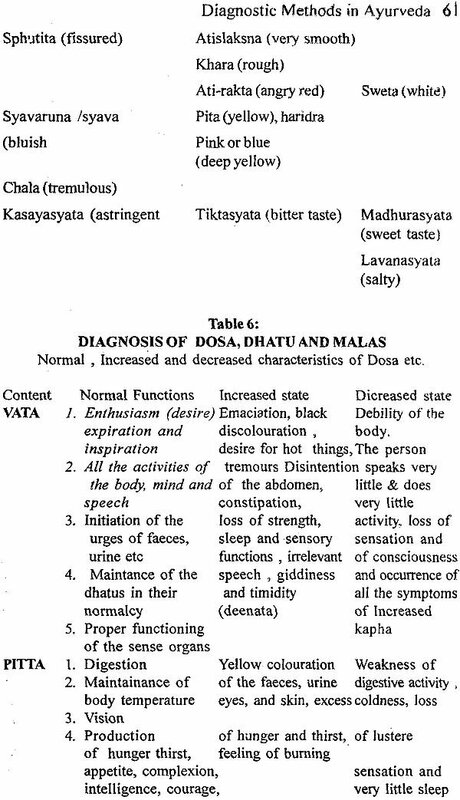 Pratipatti jnana means whatever 'Lakshanas' are mentioned in shastra on the basis of those lakshanas diagnosis of disease is to be done and after ultimate diagnosis the treatment should be prescribed. 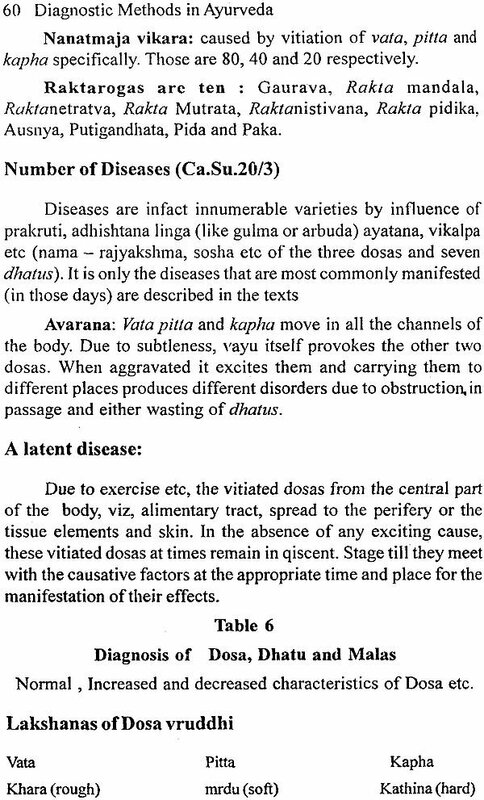 These terms indicate, After the roga and rogi pariksha itself the treatment is to be undertaken. 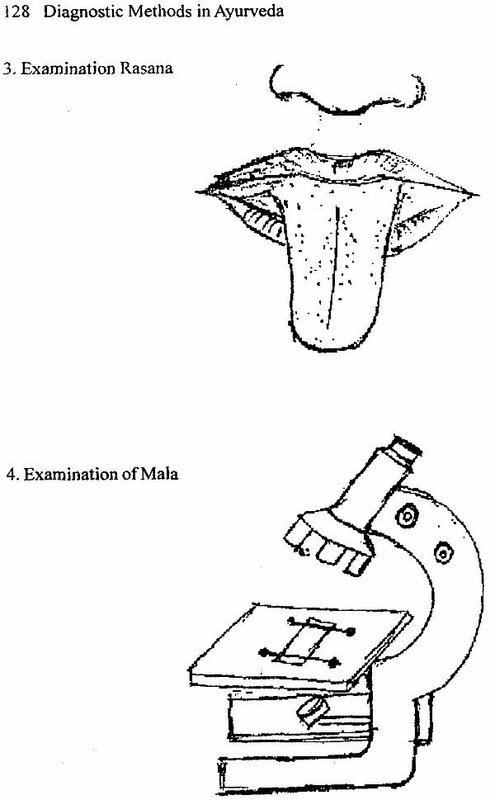 These terms indicate the examination of roga and rogi and its importance. 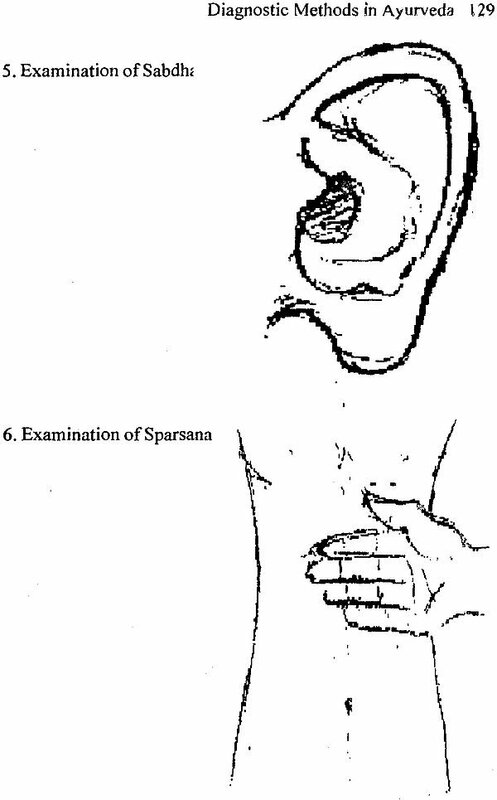 The examination of patients by various methods and means such as Nidana Panchaka and Darsana, Sparsana and Prasna have been elaborated in great detail by ancient Ayurvedic scholars. Even after various advancement sophisticated, hitech technological interventions by modern physicians in the diagnosis of varieties of diseases in day to day practice reaching to final diagnosis of the disease has remained uncertain. Most of the diseases are being treated without finalizing diagnosis along with varieties of diagnostic procedures including scanning the body with hitech instruments and other special laboratory investigations. Further more, most of the diseases are misdiagnosed and hence mismanaged causing greater discomfort to the ailing humanity in terms of psychological, financial and physical considerations. In developing country like India most of the people are dependent upon agriculture which is based on natural rains the financial condition of the individuals is not satisfactory and hence they can not afford a costly hitech investigation methods prolonged duration of therapy. Ayurveda an indigenous system of medicine, mainly aims for maintenance of positive health whole some dietetic and behavioral patterns of life style and the treatment of the diseases of the diseased Ayurveda considers body as a whole rather than diseases. The examination methods as explained by the great Ayurvedic Acharyas are simply great and useful for all classes of the society. More over then need less duration for finalization of the diagnosis of condition from which the individual is suffering with or without proper diagnosis proper treatment is impossible and without proper treatment proper cure is impossible and without proper cure the recurrence inevitable. The same has been highlighted in the tretises of Ayurveda as the basic doctrines of management of the various diseases. Hence it is very essential diagnose the diseases properly before commencing the treatment schedule. It is rightly said that "proper diagnosis is half of the treatment "Therefore the diagnostic methods are of utmost importance. 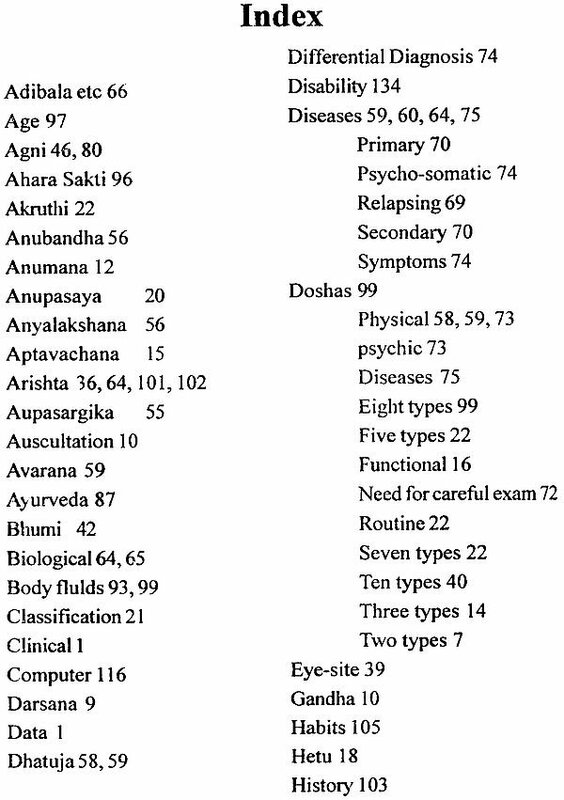 The modern diagnostic methods are biased hence it is the need of the our for each and every physician and surgeon to adopt the doctrines of diagnostic methodology of Ayurveda for proper diagnosis and fruitful management.